Louise is FRA’s global Marketing Director. She is responsible for managing the firm’s international marketing and communication strategy including implementation of tactics across a number of integrated marketing channels. She is an experienced marketer with a career built over 10 years’ on a foundation of agency and in-house marketing roles. In addition to strategic marketing efforts, she coordinates all media relations, branding, advertising, website development, social media, SEO, sponsorships, conferences and events across the firm. 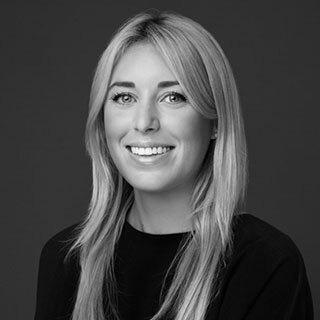 Since joining FRA, she has rolled out the firm’s CRM system, email marketing platform and preference centre; created the firm’s first digital marketing strategy incorporating online advertising and sponsored social media campaigns; implemented the firm’s first SEO strategy across UK, US and Paris browsers; managed the firm’s GDPR marketing campaign and recruited an international marketing team. Prior to joining FRA, Louise was a Senior Marketing Executive at the Institute of Chartered Accountants’ England & Wales (ICAEW). She was responsible for marketing membership products to the institutes business and reciprocal members. Whilst there, via targeted marketing mailing campaigns she increased engagement with the institutes membership products to achieve financial KPI’s; launched a successful 10-part podcast series via iTunes and supported ICAEW’s sponsorship on Virgin’s ‘Pitch to Rich’ event, fronted by Virgin Founder Richard Branson. In 2014, she was a Senior Marketing Executive at the Royal Automobile Club. She was responsible for marketing the private member club’s member services and was the Editor of the club’s two magazines. Whilst there, she managed the redesign of both magazines; launched the firm’s first internal newsletter and supported the institutes rebranding project. In 2011, she worked at, Public Relations agency, Shine Communications in the consumer lifestyle team on numerous international client accounts including Warner Brothers, Domino’s, GHD, Tabasco and Clarks Shoes. Louise is based in FRA’s London office.